Hi, this is Garrett Madison calling in for the Alpine Ascents Mount Vinson expedition. Today is Tuesday, January 14th and today the Team Four Continents is holding tight here at Low Camp. We’ve got high winds above so we stayed in Camp today and did some additional training, and had a nice afternoon lunch, and just getting ready for dinner, and then we’re heading off to bed. Sounds like the high winds might continue for a few more days, so we might have to stay here and wait until they drop down and make it safe for us to ascend up to High Camp. But everyone’s doing well and in good spirits. 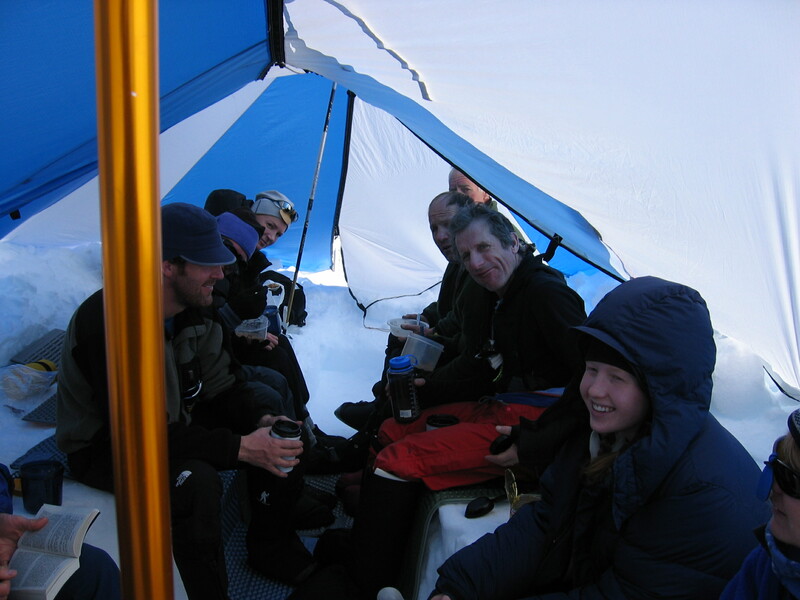 We’re having fun here on Mount Vinson. We’ll check in soon. El Teamo successfully summits the highest peak in South America with spectacular views!